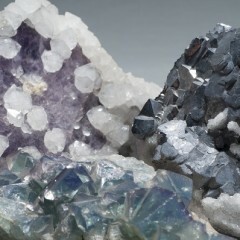 Minerals are the building blocks of planet Earth. 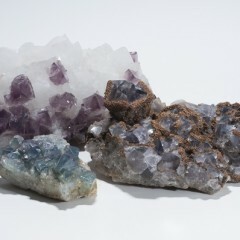 They make up the rocks that form our lands and underlie our oceans. 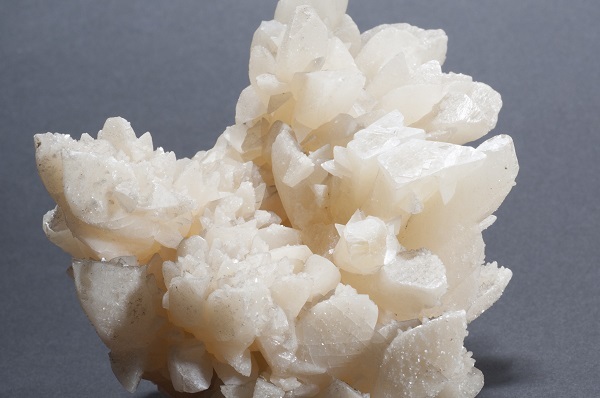 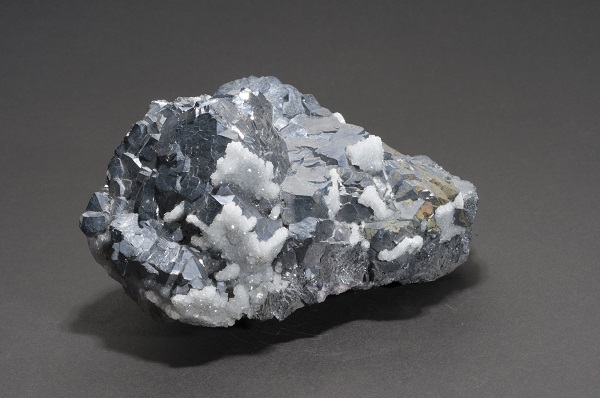 But when conditions are right, they can grow into large, beautiful crystal structures on their own or in conjunction with other mineral types. 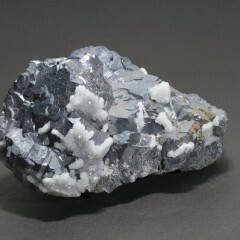 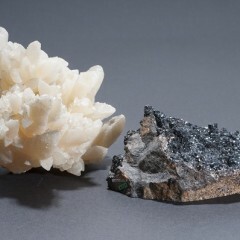 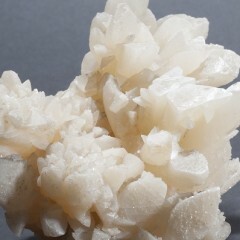 Some minerals are useful economically, and some are found in mines and quarries but are not useful for industry. 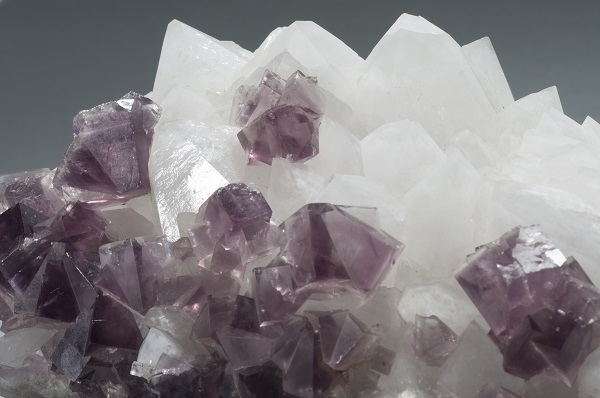 Many hundreds of types of minerals have been collected for centuries simply because they are stunningly beautiful. 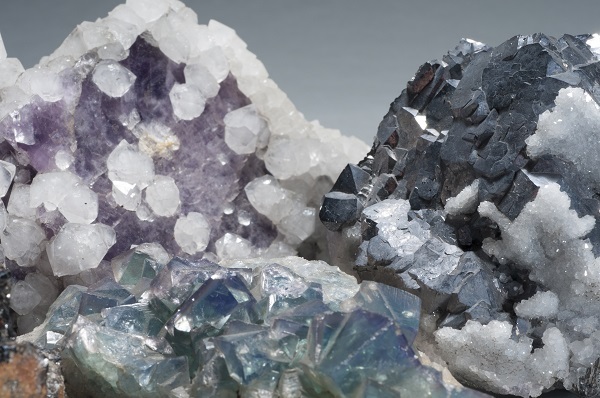 They are a striking demonstration of the power and diversity of nature, because even though each mineral type has a set chemical composition, it is possible for one mineral to form a range of shapes in many colours. 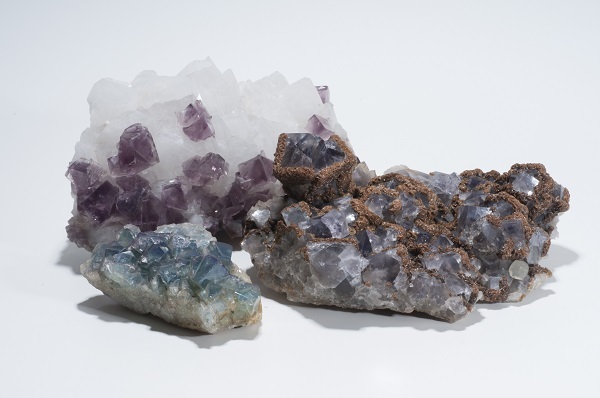 Mineral collectors are driven to find the most perfect examples of each. 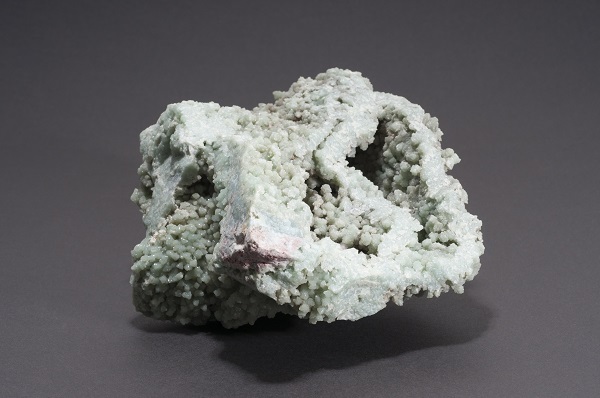 This exhibition featured a selection of the collection of Lindsay and Patricia Greenbank. 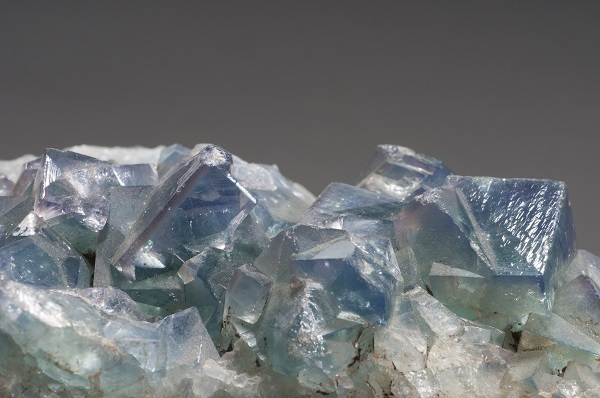 These lifelong collectors have a passion for the minerals of Northern England, one of the best places in the world to find brilliant mineral specimens. 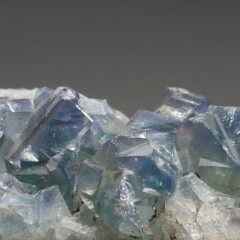 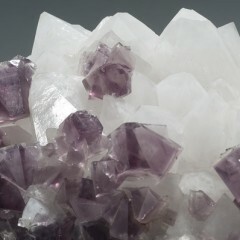 They collected from now long-closed mines all over the region, and even operated their own for 20 years, solely for the purpose of bringing up sought-after specimens of fluorite. 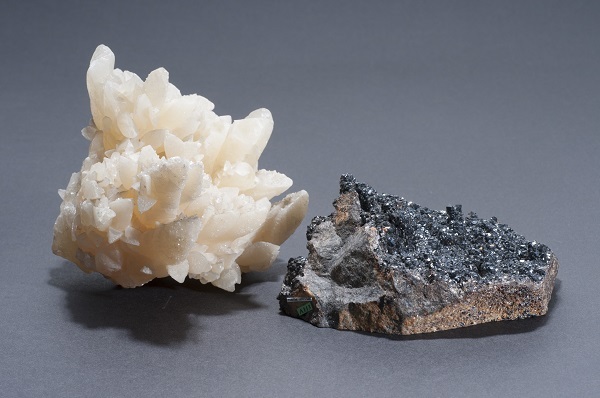 They also bought specimens from collectors around the world, to bring them home to England. 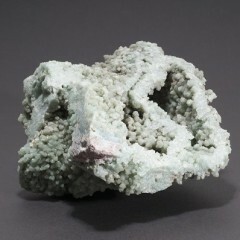 They hope that their collection will inspire the next generation of collectors with its beauty and variety.